Hello Everyone, Joni here. 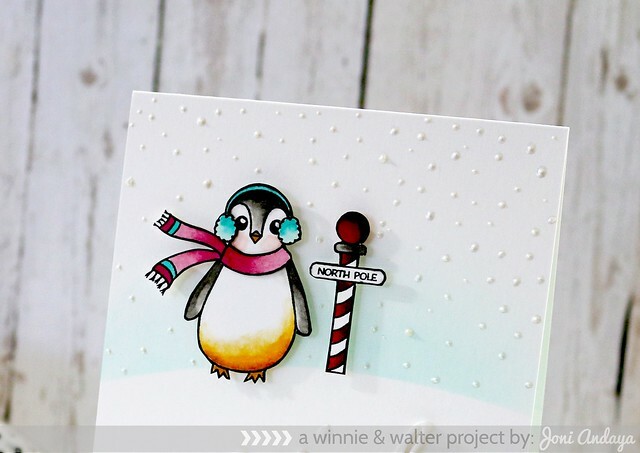 I just want to share this card I made using the new release Winnie & Walter Stampets: Penguin, The Big, the Bold and Seasons Cutaways, and The Big, the Bold and Blessings Cutaways. To begin my card I first masked the card base with a curved post-it that I cut and distress it with ink blending tool using Peacock Feather ink. Next, I stamped the penguin images on a separate cardstock then color and cut the image. Next, I adhered the image on the card base with foam tape. Then I added some dots of white opal Liquid Pearl for the snow scene. 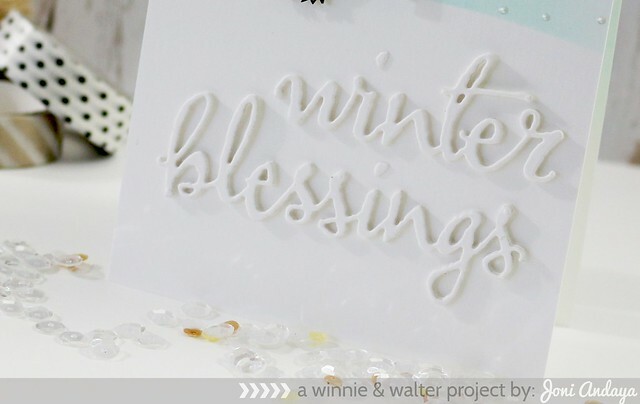 Next, I die-cut the winter and blessings cutaways four times each and glued on top of the other die-cuts to get that dimension. Here is the full image of the card. Very cute card! Beautiful coloring! I have this stamp set and LOVE it! I've made cards, tags and even gift wrap with this lil guy!He looks super cute in a santa hat too! :) and I adore the sentiments in this set as well! 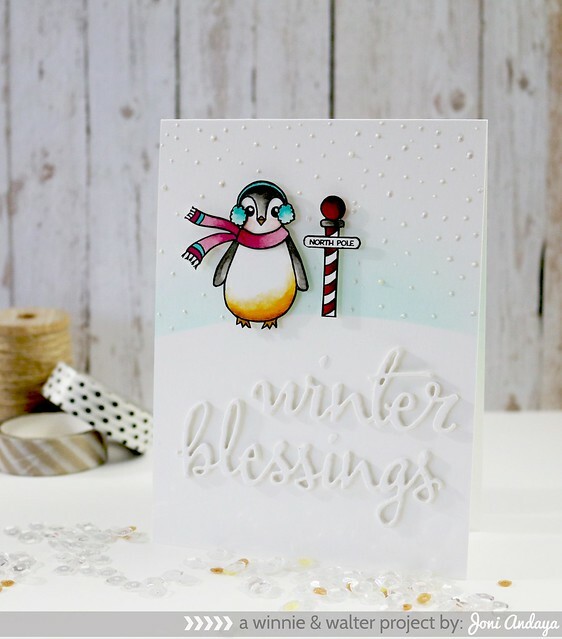 LOVE IT ALL, from your ADORABLE penguin to your SWEET sentiment & snow!!! Stunning! I love this stamp - it's on my Wishlist!